Classic Cars Talks: Time for Auction! This August is definitely a great month for Classic Cars Auctions. 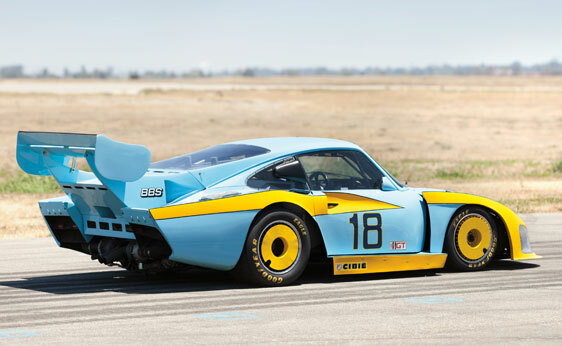 Some of the most amazing cars in history will go under the hammer and I sure regret not being able to witness in person the exciting last moments of ownership for those selling them. The majestic and unique Manta Bizzarrini is set to trade hands in Pebble Beach at Gooding and Company's auction on the 18th and 19th. Very first design of the newly founded firm, the Manta arguably marks the appearance of the wedge style and "the seventies" in car design. Starting from the innovative frame of the Bizzarrini P538 the car seems to wipe out all the designs made before with an uncompromising 15 degree windshield, three seats with the driver in the central position and its outrageous color scheme. The estimate seats comfortably between 1.3 and 1.5 million dollars. I sure hope this car more luck than what happened to the even more revolutionary Lancia Stratos HF which missed the lower estimate shy of €200.000 last summer. Find here some pictures I took some years back at the Goodwood Festival of Speed. The Manta will be in great company, the catalogue also offers a striking 1962 Ferrari 400 Superamerica Coupe Aerodinamico ($1,750,000 - $2,500,000), 1957 Ferrari 500 TRC ($3,750,000 - $4,500,000) and three famous prototypes like the 1970 Monteverdi HAI 450 SS ($600,000 - $800,000), 1964 Ford GT40 ($5,000,000 - $7,000,000) and the 1957 Ferrari 250 GT LWB California Spider ($6,000,000 - $8,000,000). My personal favourites probably being the 1955 Maserati A6G/2000 Berlinetta ($1,500,000 - $2,000,000) and the almost perfect 1959 Lancia Flaminia Sport ($375,000 - $450,000). Click HERE to take a look at the whole catalogue. If you were impressed by the offer of Gooding and Company then you should not be disappointed by RM Auctions, except for the fact that they are offering two Auctions this month alone! On the 17th and 18th in Monterey they will offer a frankly striking array of vehicles. It is very hard for me not to publish here most of the catalogue. One of the pure gems is the 1955 Ferrari 410s Berlinetta, the beauty and the beast itself. A car rarely seen in meetings and events and one of the most beautiful shapes ever conceived by Scaglietti. Also in the catalogue no less than 3 true everlasting icons of car racing history such as the 1971 Porsche 917/10 Spyder Can-Am ($2,900,000-$3,500,000), the "Icon" itself 1968 Ford GT40 Gulf/Mirage Lightweight that also served as camera car in the legendary "Le Mans" movie and the 1987 Porsche 962 IMSA Camel GT ($1,200,000-$1,600,000). Porsche is also well represented by the 1981 Porsche 935 JLP-3 IMSA ($1,300,000-$1,800,000) and no less that the actual factory works prototype of the 1963 Porsche 904/6 Carrera GTS ($1,800,000-$2,200,000). Last but not least there's the novelty of Virgil Exner's 1960 Plymouth XNR concept car. Admittedly not one of my favourite cars. I find its shapes too "cartoonesque" for my tastes. But then again... how often does it happen to see such a famous unique car trading hands? Find here some of the videos RM produced to present this particular auction. 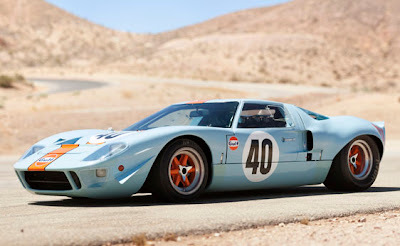 It's common for these auction houses to offer for sale such incredible vehicles and to reach equally incredible bids. That's why the real surprise of the month is RM's auction in Denmark, presenting the Aalholm collection on the 12th of August featuring more than 175 motor cars, formerly part of the Automobil Museum. All lots will be presented without reserve and in my opinion, at very conservative estimates. Possibly because most of the cars are not restored to RM's incredible usual level or possibly in an attempt to try and attract a wider audience. Whatever the reason, there will sure be some nice bidding action and some smiley faces at the end of the day. The museum's offer stretches from a 1958 Trojan Cabin Scooter with a high estimate at £740.31 (really??) to an uber cool 1926 Citroën Kegresse Half-Track that is expected to go for as little as £2,300. 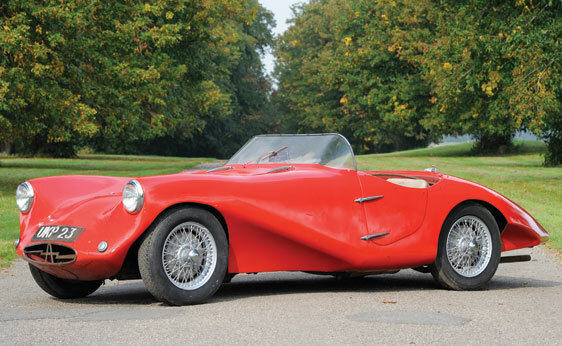 The queen of the auction in my opinion will be the 1954 Arnott Sports, Arnott's only Lea Francis (push-rod - twin cams high in block) powered Sports from a production of seven cars. Miss Daphne Arnott founded the make in London in 1951 and produced cars for roughly 6 years. It was a brave attempt and she also managed to put a car on the grid of the 1955 and '57 Le Mans 24 Heures, where it was stopped by technical failures. This is truly a nice piece of car and the estimate of 2,300 to 3,900 GBP is to my eye, hard to believe. Go to RM's website for all the info you may need and don't forget to subscribe to their twitter account for a live feed of the auctions!